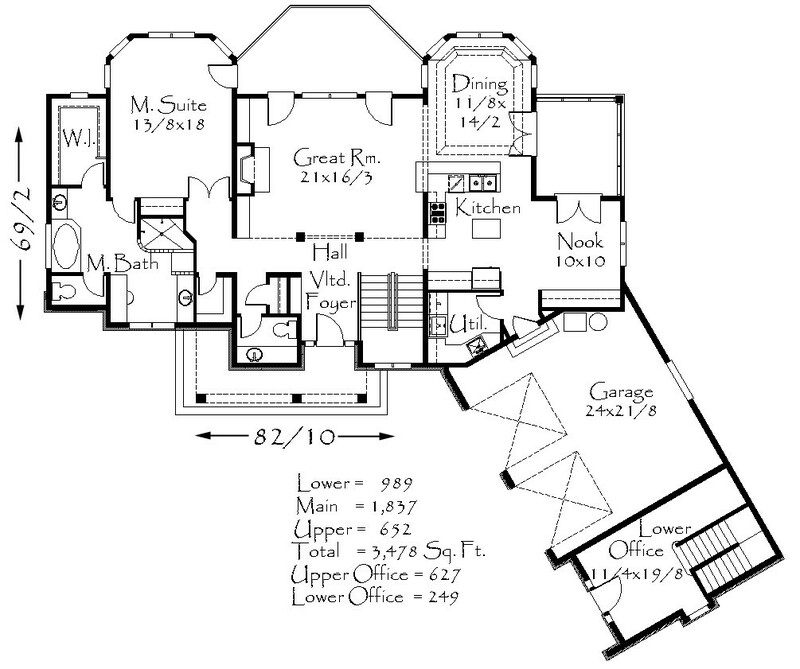 This magnificent Old World European house plan has all the modern amenities you could ask for with tons of charm. The exterior styling is distinctive french country with strong roof lines and stone accents with shed dormers. The main floor features a beautiful gourmet kitchen, dining nook and a formal dining room, as well as a generously sized great room located at the center of the home. The Master Suite lies at the opposite end of the home and is complete with a standalone soaking tub, double sinks and an expansive walk in closet. 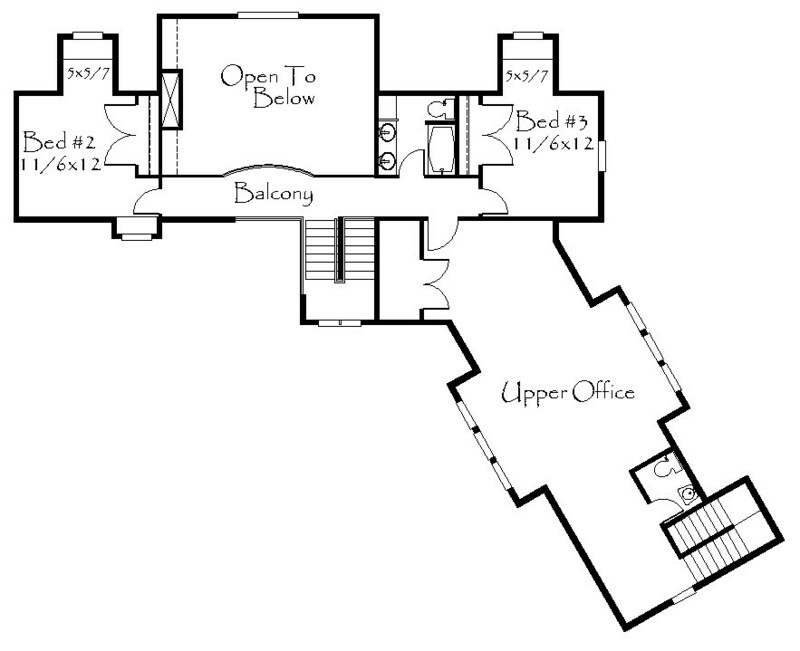 Upstairs holds two bedrooms and a separate private office. 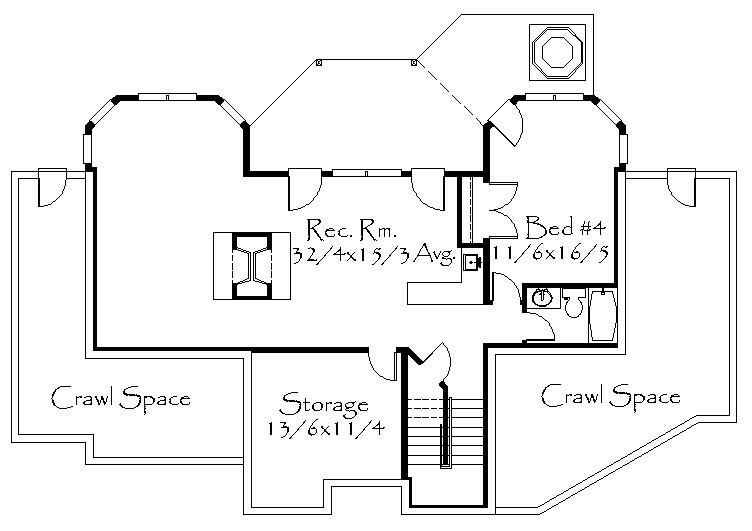 On the lowest level of the home you will find the fourth bedroom, a large Rec. Room and additional storage. The entire home is designed for a down-sloping lot and works very well on a cul-de-sac.